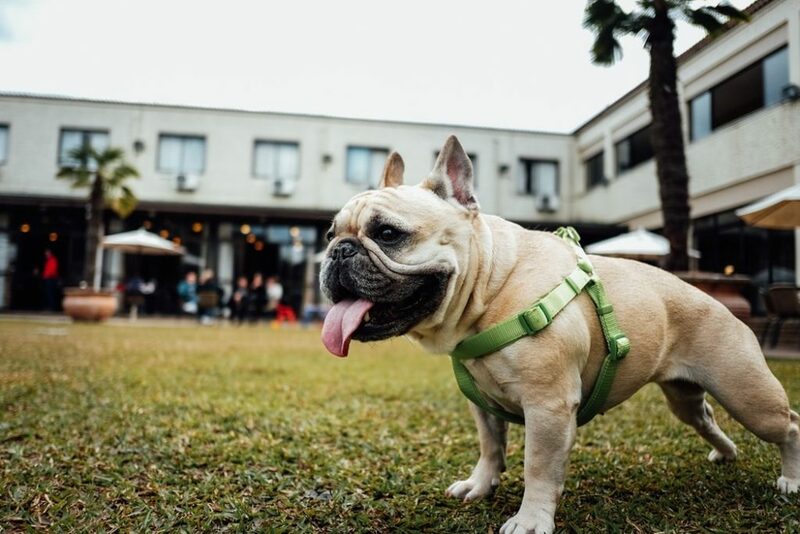 When you’re out walking your French Bulldog, using a harness instead of a collar has many benefits, including putting less pressure on the dog’s chest area and preventing breathing issues if your dog happens to pull on its leash. 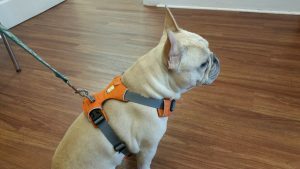 What should you look for when buying a harness for a French Bulldog? This buyer’s guide will help you decide which harness is best for your dog and what to look for when shopping for one. Several features to look closely at are harness size, neck straps, material build, comfort, visibility, and quick attachment. We will look at the specifics of each feature so you will know what to look for when shopping for your French Bulldog’s harness. This makes the top of the list for frenchie supply. This is very colorful and made out of scratch-resistant Oxford material. It includes a soft sponge padding for the chest and belly. It comes with two leash attachments for the D-ring on your dog’s back and an O-ring for the chest. It also comes with nylon 3M reflecting webb material for night visibility. 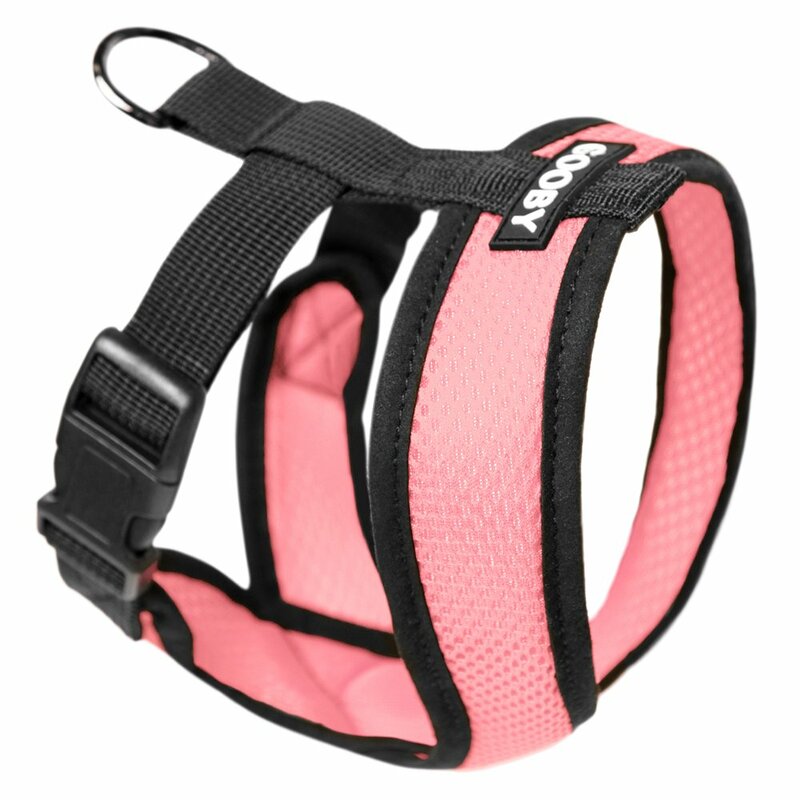 There are also adjustable straps so that the harness can comfortable fit your dog. 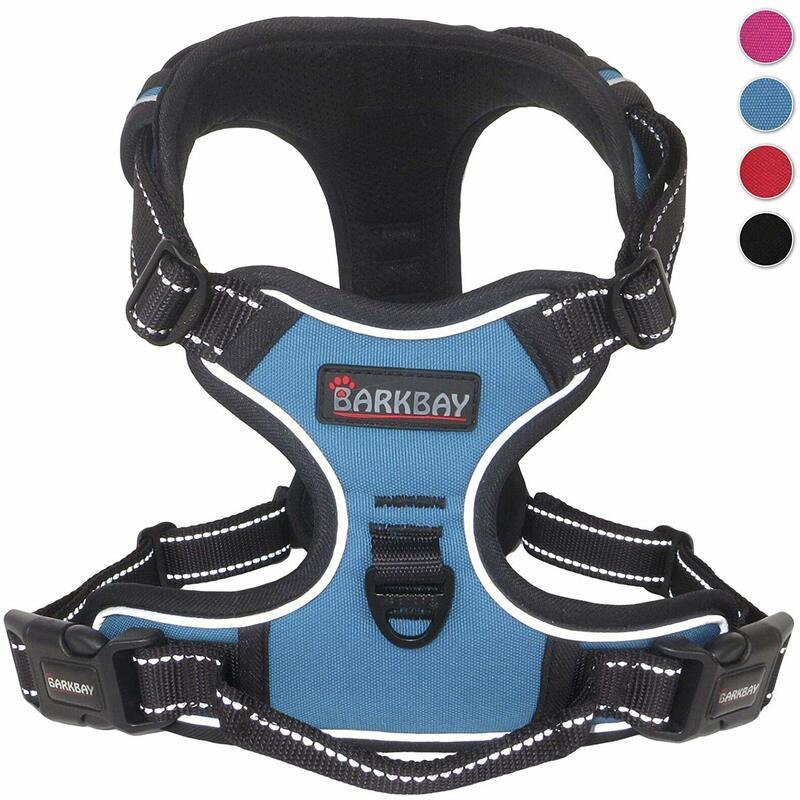 It is lightweight and lacks pressure to the dog’s neck, which helps to prevent neck and spine injuries. Chai’s Choice is owned by a retired Navy veteran and always sells nothing less than very high quality material. Ruffwear makes the top of the list for frenchie bulldog supplies because of its high quality safety features. If you spend a lot of time outdoors with your dog, Ruffwear is the best one for you. The webbing at the chest stands up to a lot of pulling, which makes it ideal for training. There is also the aluinum V-ring on the back for your leash. 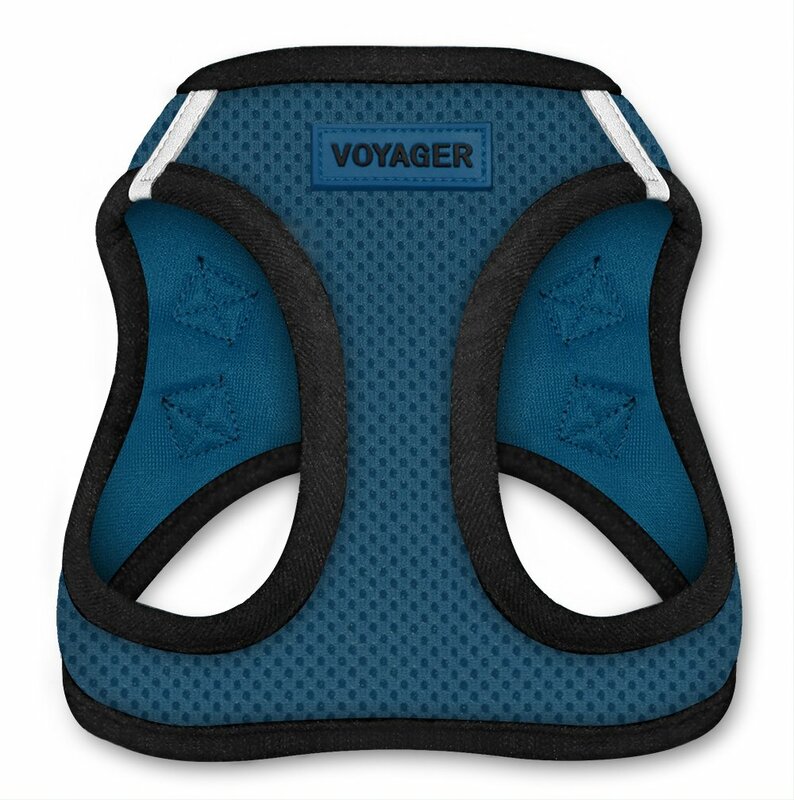 The foam-padded strips across the chest and belly are there for your dog’s comfort whether it’s running, walking or resting. The fabric also has a reflective trim to glow in the dark at night. It can be adjusted at four points. Plus there’s a pocket in which your dog’s tags can be safely stored. These dog collars for french bulldogs stand out because they have been university crash-tested for dogs up to 75 lbs, along with child safety seats. It features a single metal non-pull D ring, has five adjustable points, plus a special tether for a vehicle. Its special chest plate makes it extra protective. It easily fits small dogs weighing between five and 10 lbs. It also fits dogs with chest sizes of up to 18 inches. It is also best for short-haired dogs as longer-haired ones have been known to lose some of their hair while traveling. It is perfect for dogs as small as five lbs that tend not to sit or lie still in a vehicle. This comes in all kinds of colors. Its mesh fabric is double layered, durable, and very breathable. It is designed with anti-rub technology to prevent leg injury. It is made out of recycled and dyed material, which is designed to fit in with the outdoors. It comes with a couple of very high standard safety buckles and is designed to be worn slightly higher than the average frenchie harness so as to not make the dog want to “escape” from it. It is specially designed to not choke the dog and to be easily slipped over the head. It is made to custom fit the dog whether it’s a puppy or an old adult. This is best harness for a french bulldog that can subsitute for a collar. 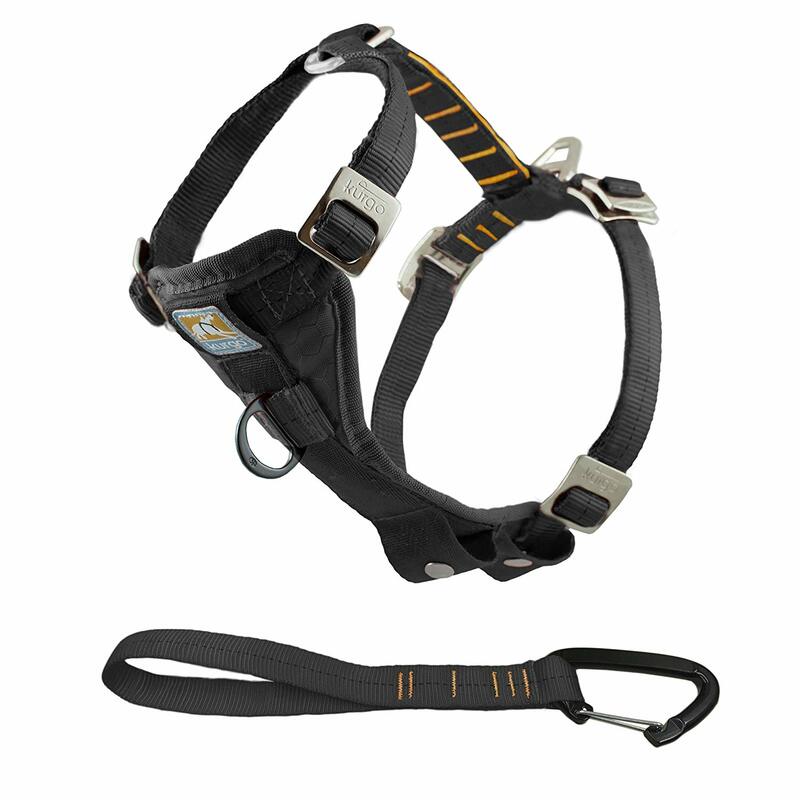 This is a soft and quick off-and-on harness thanks to its quick release clip. If your dog has a tendency to escape and run off, the two D-rings allow for a secure lock with your leash. It weighs only two ounces and comes in red, black and blue. It is designed to fit small dogs and has a chest girth of 12” x “14”. This has also been known to work well with Chihuahuas and small Yorkshire Terriers. The material is not made out of mesh so you don’t have to worry about your dog’s hair sticking through it. This is a particularly good frenchie dog harness because it’s designed to accommodate weight up to 30 lbs. It comes in a few colors from black to pink to red. However, chest size also counts so one thing you will need to do before ordering is measure your dog’s chest. It is designed to put most of its force on the chest instead of the neck. It is made out of micro suede trimming, it is machine washable and air dryable. It also comes with a sliding snap buckle. This affordable french bulldog collars and leashes is designed to be very secure. It is made out of recycled jeans and red nylon material for durability. The orange nylon adds to the design’s security. 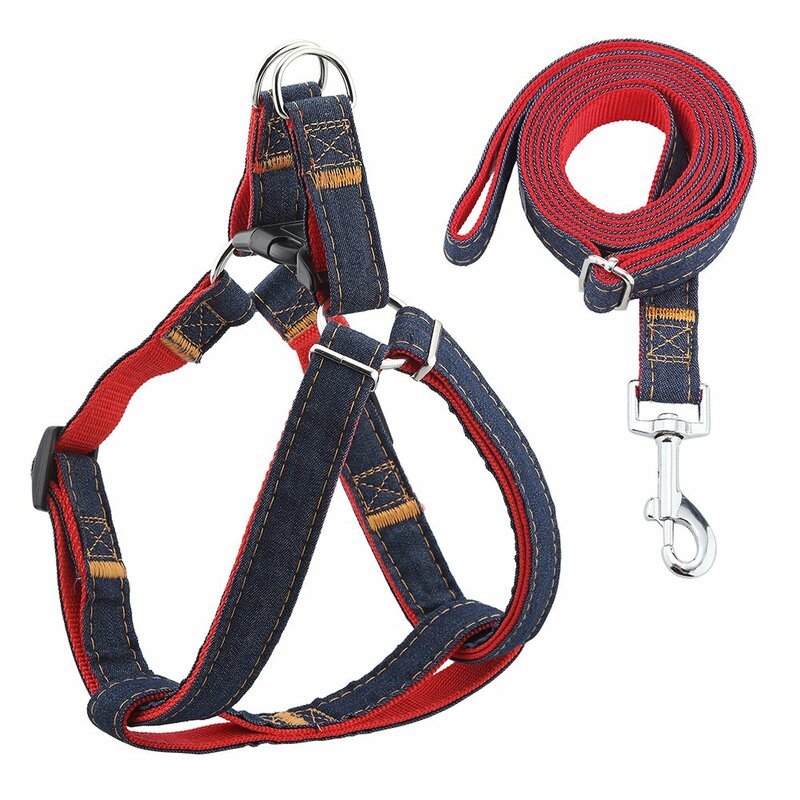 The two top metal clasps are rust-resistant and designed to hold the main leash securely in place. 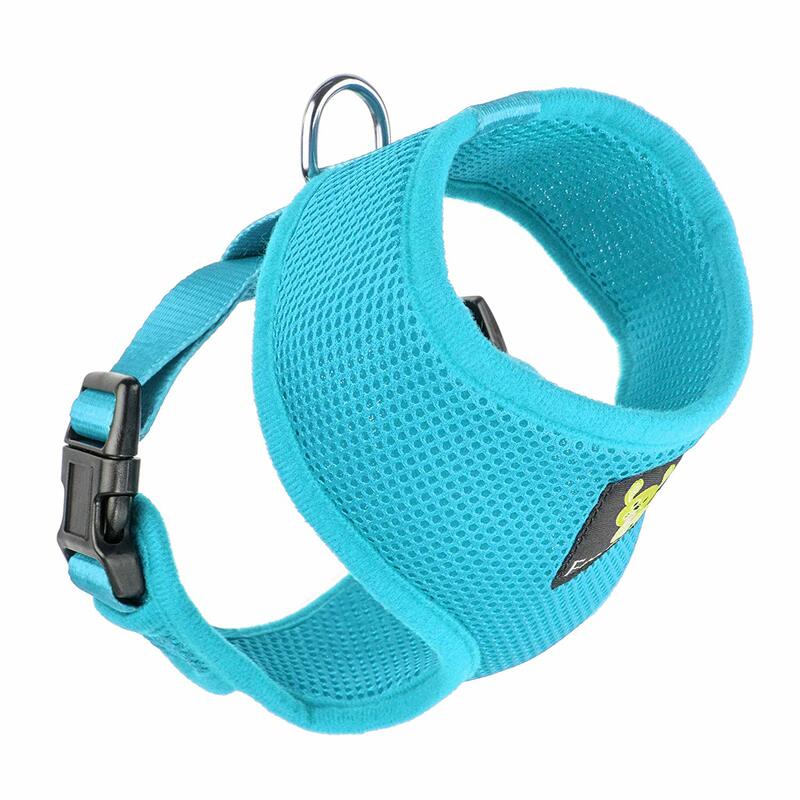 It comes with two adjustable straps, however, you will need to measure your dog’s chest size before ordering. It is designed to stay away from your dog’s armpit and leg area to prevent chafing. It is said to fit dogs as small as 10-12 lbs. It can be washed in brine or saltwater for 30 minutes followed by the washing machine and air drying. This good frenchie bulldog pet supply comes in a broad range of colors. You will need to measure your dog’s chest before ordering as weight is not indicative of chest size. The mesh fabric is breathable and is made for all kinds of weather. So if you live someplace where the weather’s unpredictable, this is the perfect harness for you. The velcro closure is very strong with two heavy D-shaped metal rings for secure leash attachment. It has been known to hold up to 21 lbs. It is designed to not pull on the joints and shoulders. The buckle is not adjustable. This good harnass for french bulldogs comes in a broad range of colors, including camoflague. Camoflague is said to help calm the fears of some anxious dogs. The Ondoing is made out of Oxford clothe with EVA material and mesh lining. It also has reflective webbing material on it, which makes it show in the dark. The straps are adjustable and it comes with four quick release buckles. 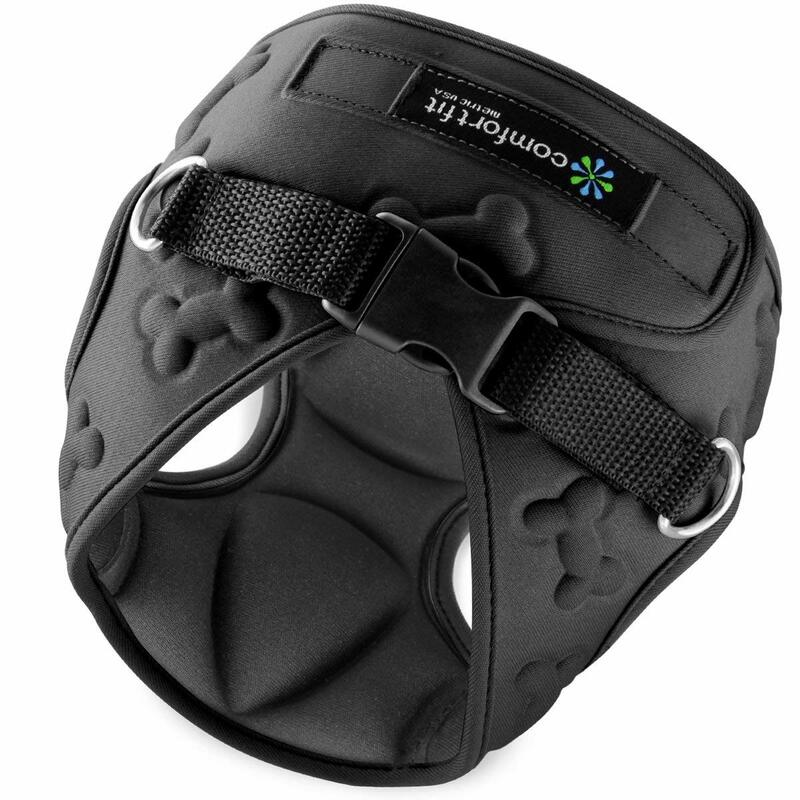 Its pull design is meant to protect your dog’s throat so you don’t have to worry about choking or windpipe damage. It has been known to handle up to 50 lbs. Be sure to measure your dog’s chest before ordering so you’ll get the right size of chest pad. These collars for french bulldogs look more like a three-way collar than a harness. It comes in a few neutral and bright colors. Be sure to measure your dog first as this one’s based on chest width and girth measurements and weight is not included. It comes with four adjustable points and a complimentary colored belly strap. The front leash attachment is designed to steer your dog so that it doesn’t pull too much. When shopping for your French Bulldog’s harness, first decide what size harness will work best for your dog. Measure around its chest and neck to see which size will fit without being too loose or tight. Buy a harness that best fits your dog’s measurements. Make sure to buy one with adjustable straps. Adjust the straps when the harness is on your dog so it isn’t too loose or tight. Buying a harness with adjustable straps you can adjust once the harness is on your dog is the best choice, that way you can customize the way it fits around your dog’s chest and body so it won’t come off or rub too tightly against it. Neck straps on harnesses may not be the best choice for your French Bulldog – but why? The straps can rub against their necks, causing fur to fall out. The straps can constrict their necks, making breathing difficult. If your dog pulls on the leash, the neck straps can choke it. When buying a harness for your French Bulldog, avoid harnesses with neck straps. They are not a safe option for your dog. Not only can they cause hair loss and skin irritation, but they can severely injure your dog if they pull too hard on their leash. There are two styles of harnesses: a strap harness and a wrap harness. Both have key features and benefits. 1. Has easily adjustable straps. 2. Distributes weight evenly across the body. 3. Typically more durable and longer-lasting. 4. Less likely to cause skin irritation and hair loss. 1. Easy and quick to take on and off. 2. Often padded with a single buckle. 3. Customizable with different colors and patterns. 4. Unlike strap harnesses, wrap harnesses aren’t adjustable. Here is an example of a wrap harness. 1. Trying on different harnesses. 2. Choosing a harness with less cloth that won’t rub your dog’s skin. 2. Has easily noticeable patterns. 3. Has reflective material that can be seen at night. The more easier your dog is to see in its harness, the safer it will be. Drivers and other dangers to your dog will be more likely to notice it, and if your dog happens to get lost, they are more easily found and identified. 1. Has few attachment points or buckles. 2. Doesn’t have too many straps or holes for your dog to have to climb into. 3. Can be buckled and unbuckled quickly, even with one hand. 4. Does not come off easily. 5. Does not tangle or come undone easily. 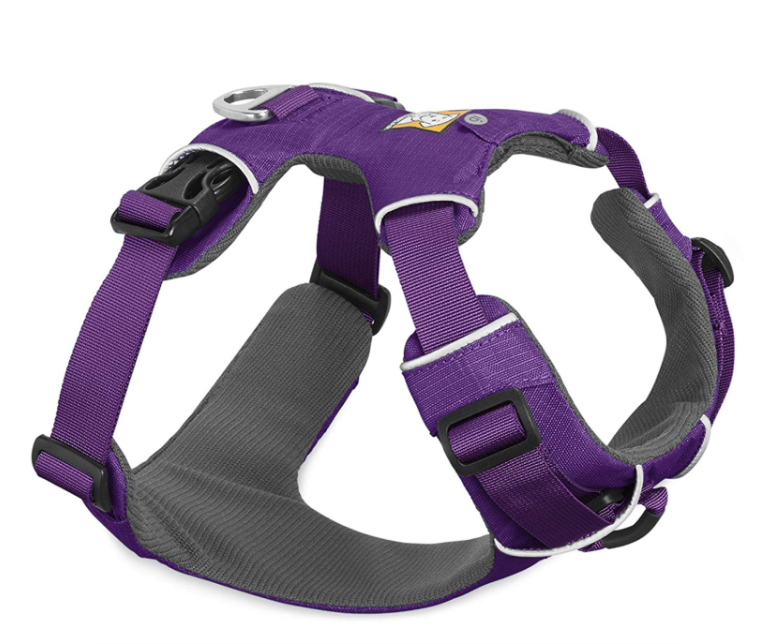 Choosing the right harness for your dog means finding one that is easy to put on and take off, and is easy to attach. 1. 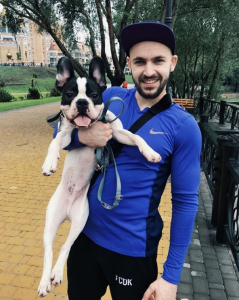 What is the best size harnass for a french bulldog? Whatever french bulldog collar or harness fits your dog best depends mostly on your dog’s chest girth. That’s why it’s very important for you to measure that before ordering most harnesses. 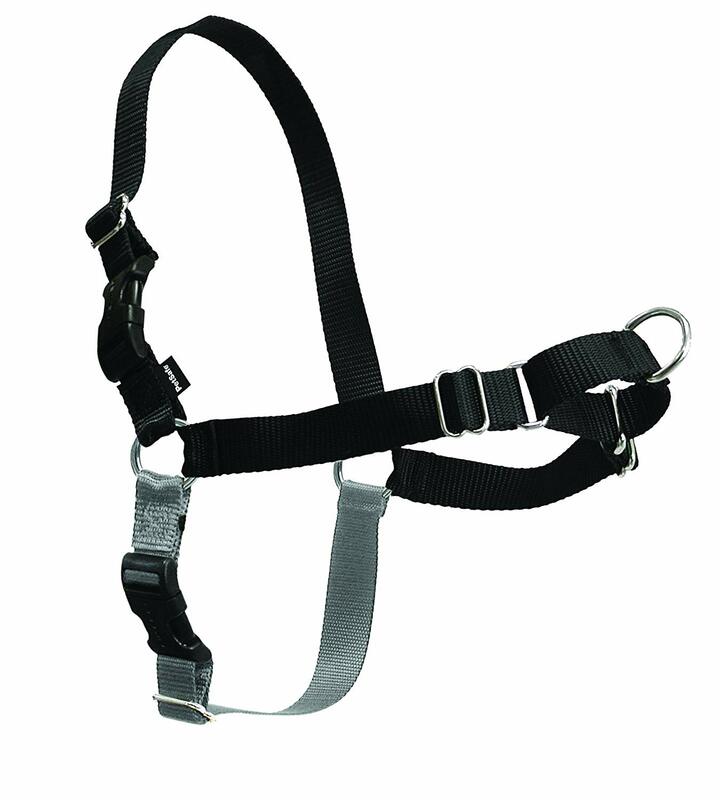 Most harnesses are adjustable but adjustable straps can only do so much. Also, the last thing you want is for your dog to be uncomfortable or your dog’s skin to chaf. You also don’t want your dog to have a high choking risk. However, you do want to have it secure enough that your dog won’t run away from you. 2. How do you measure your french bulldog for the right harness? First, you need to measure the girth of your dog’s chest just behind the front legs. This tells you the general size that you should purchase. However, you may need to check with the manufacturer’s information to be sure. Once you get your harnass, make sure that you can slide two fingers into the straps or it’s too tight. A harnass is preferable to a collar especially for dogs that have breathing or tracheal issues. They are also ideal for travelling in vehicles to prevent your dog from wandering in the car. Chai’s Choice is at the very top of the list because it has more safety features than average. However, what’s best for one dog may not be for another. 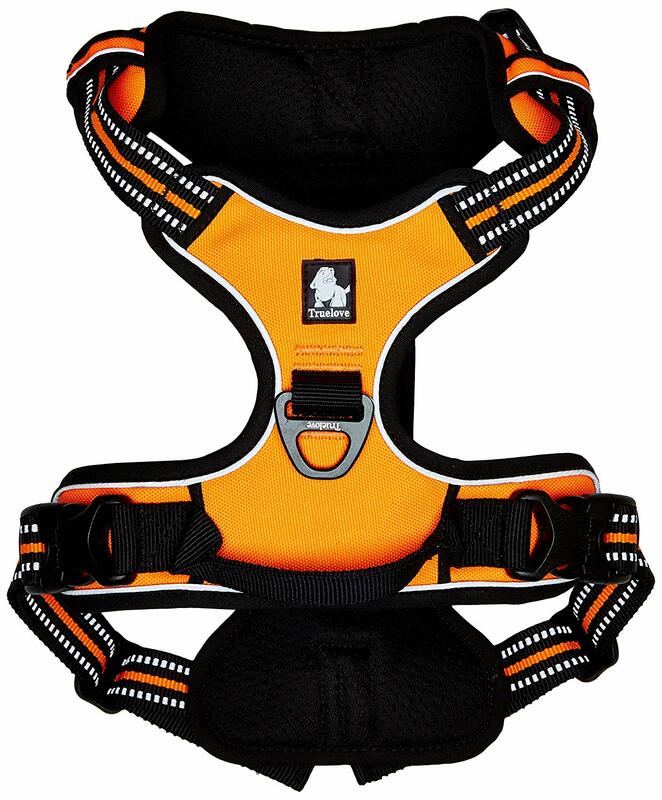 For example, the RUFFWEAR is ideal if you live somewhere with unpredictable weather. Again, it depends on your dog and factors such as your dog’s weight, your location, whether you travel with your dog a lot. The best harnass for a french bulldog is the one that best accomodates the individual dog.